In 2005, we released our first homeschool management application and set the standard for homeschooling parents everywhere. Our newest, web-based incarnation of HomeSchool Minder gives you the ability to access your records anytime and anywhere without ever worrying about your data being lost or destroyed. Existing users can upgrade from the Windows version of our software by following this one-time conversion process. If you used different assignment categories in a course with the same name over multiple years, it is likely that the category weights are incorrect, affecting grade calculations. Please double check your assignment category weights. The existing terms did not have an end date. We are generating one based on the begin date of the next term. For the last term, the end date is the date of the last assignment. Resources on Lesson Plan Instructions are not transferred. Repeating events are not transferred except for the first occurrence. The first step in the upgrade process is to register for your free trial by creating your new account with us. You can do this by entering your Email and Password in the free trial section of our Home page (www.homeschoolminder.com). Doing this will automatically register your account and give you complete access to the new version of HomeSchool Minder. First we need to save a copy of your existing data. 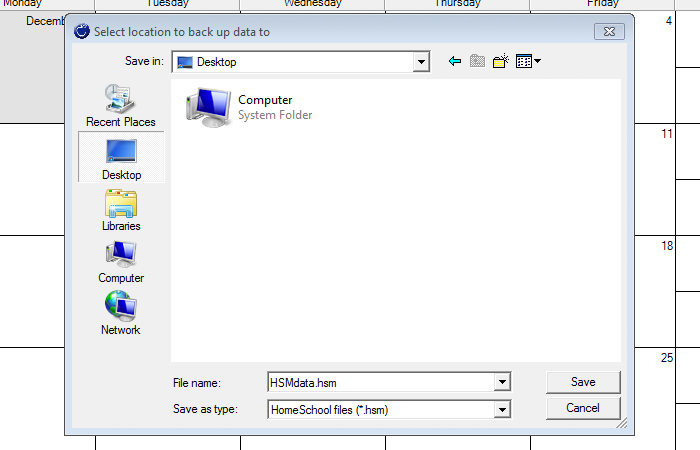 Within the Windows HomeSchool Minder application, navigate to Utilities > Back Up Data. We recommend saving this file to your Desktop. In Windows Vista and later, you should see a quick link to navigate to your desktop in the Save File dialog. Download the HomeSchool Minder Uploader tool to upload your data backup to the web. Click the Open button. 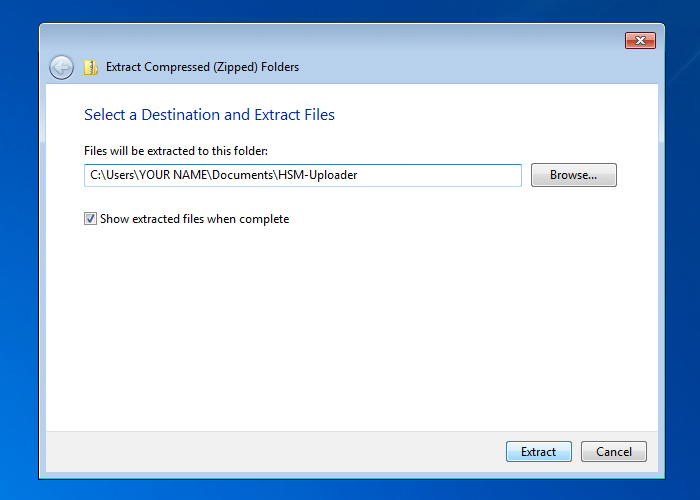 When the file window appears, select the HSM-Uploader folder and click Extract all files. At the next dialog, click Extract. Windows may ask, "Do you want to copy this folder without encryption?" to which you may select Yes. A file window should now appear. 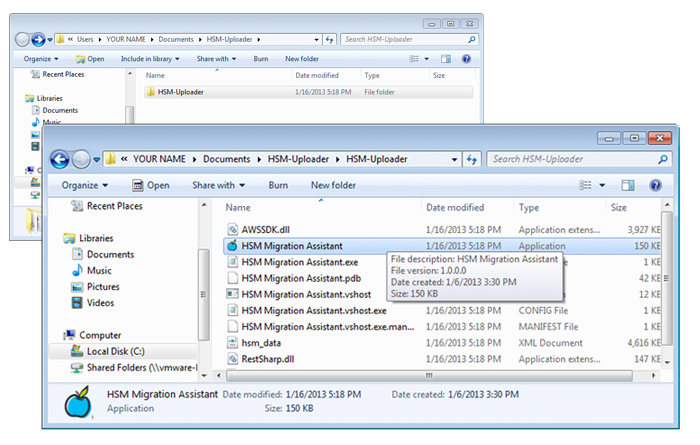 Navigate into the HSM-Uploader folder and open the HSM Migration Assistant application. You should see the blue apple icon to the left of the application. Windows may issue a security warning and ask for your permission, please allow access. 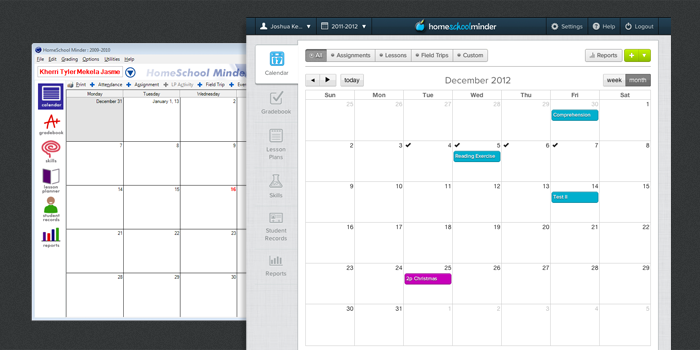 The first step to use the assistant is logging into your HomeSchool Minder account. This is the account you registered for at the HomeSchool Minder website. Afterwards, you will have two additional options. The first, Select File is where you should select the data backup we created earlier on your desktop. Next, click the Upload button and we'll begin the conversion process. Please be aware that the conversion process may take up to three hours. You should not access your account during this time. HomeSchool Minder will send you an email when the process has completed.